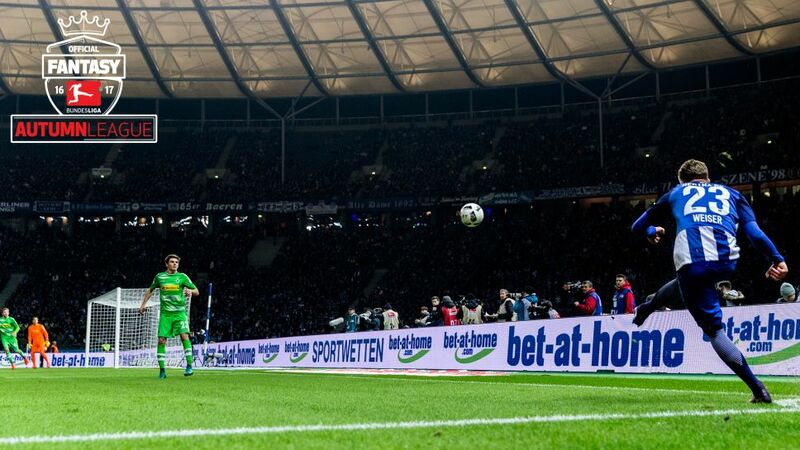 Bundesliga | Project 50 on Matchday 11: Can anyone beat The Expert? Hertha Berlin defender Mitchell Weiser (r.) makes it into two of our insiders' teams for Matchday 11. Project 50 on Matchday 11: Can anyone beat The Expert? For the third week in a row, Matt 'The Expert' Howarth won the "Project 50" challenge between our three Official Fantasy Bundesliga insiders. The name of the game is simple. With a budget of 50M, they have to pick two defenders, two midfielders and a striker. On Matchday 10 Matt's quintet landed him 41 points, two ahead of Flo 'The Scout' Reinecke, who managed to stay ahead of his two colleagues in the overall standings. Which players do they have their eyes on this weekend? Have you made your transfers ahead of Matchday 11? What are you waiting for?